I shouldn't have posted this here. Sorry if we offended you guys with this video, it was not our intention. 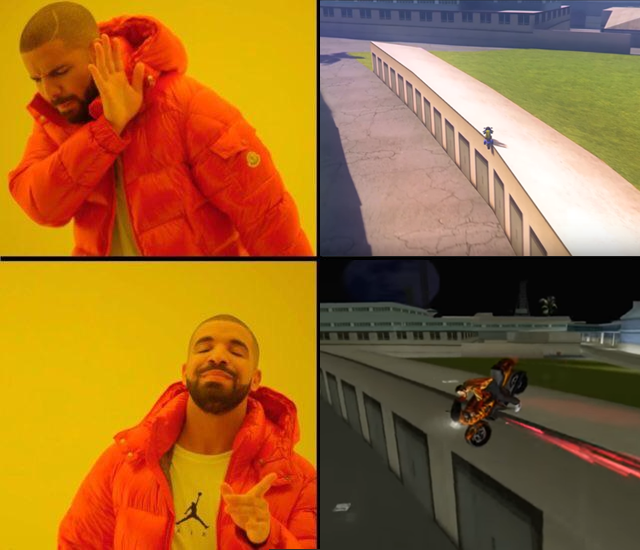 I respect every stunter from every GTA. we are not offended lol, we (i) just think you guys can do way better! I know you paid efforts into this video but honestly if you wanna use V engine to stunt in Vice City map, that‘s a really stupid idea because the Vice City area/size don’t fit with V engine at all. Editing was enjoyable tho. I am not a VC stunter, but it is obv for me that they will not accept "V stunting" in "their" map. All because of V`s engine and physics. Probably it is too painful to watch this type of video when you know how hard it is to do stunts in VC with VC engine. I liked the stunts that were once spots in the VC engine and you managed to land them. Its actually seeing how a burden falls off someone's shoulders.